Chapter 4 dealt with the Byzantine Empire, Justinian, Theodora, and St. Nicholas. It was a long chapter: four different stories. 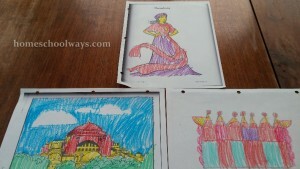 Lots of coloring, cutting and pasting fun with paper dolls and pictures of Empress Theodora, Hagia Sophia, and Theodora’s crown happened today. 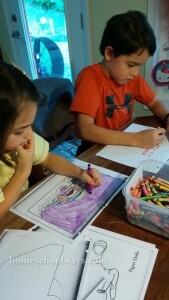 The kids were ready to color though. It’s like we can go a few days without history and then they miss it and are so ready for it. I was a bit nervous about the story of St. Nicholas, a.k.a. St. Nick and then the connection with Santa Claus. But it was done well in the book and I had nothing to worry about. 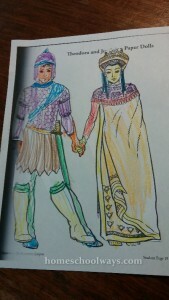 What surprised me this week about their coloring was that they filled out the page. 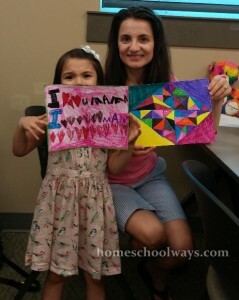 I attribute that to Craft Day, which we attended last Monday. 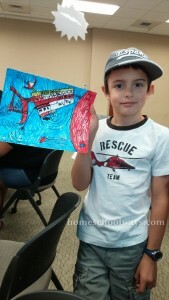 Our local homeschool support group organizes Craft Days twice a month. We attend once a month because we are already doing a lot of other things… as you know… if you have been reading this blog for awhile. Daughter and I created mosaic tiles, too. So, we were there for the first time this school year and we made mosaic pieces for the new Children’s Hospital being built in Knoxville. That’s right. There will be no contest. 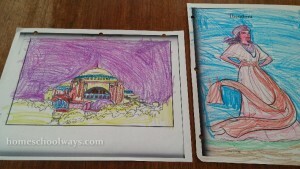 They simply accept any drawing and they will make sure it fits within the overall picture. 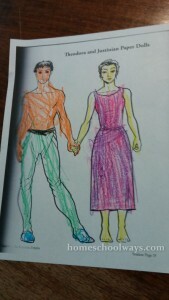 We had to follow only this guideline: fill up the whole page with color. I think that rule sort of stuck with my kids. 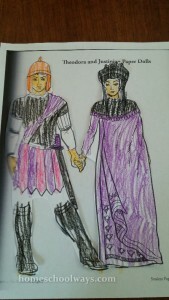 As they worked on coloring for history about Justinian and Theodora, my son suddenly expressed the desire to dress like them. 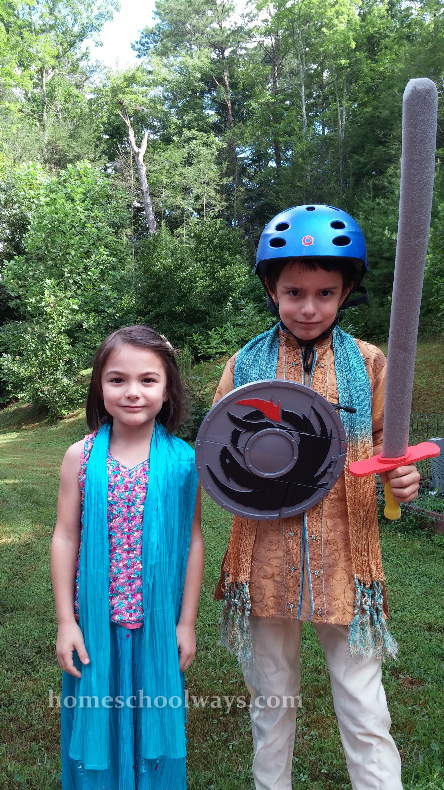 I was not sure we could find costumes fancy enough, but we did… They had a lot of fun dressing up and posing for me.